Dr. Kim graduated with a BS degree in Aerospace Engineering from the University of Maryland in 1994. He then earned his Doctorate in Dental Medicine (DMD) from the University of Pennsylvania in 1998. His residency in Advanced Education in General Dentistry was completed at the University of Maryland. Pursuing his interest in Dental Implantology, a rigorous course was completed at New York University. Dr. Kim is an active member of the American Dental Association, Maryland State Dental Association & the American Academy of Implant Dentistry. When Dr. Kim is not at his office he enjoys outdoor activities such as golf, skiing, tennis and spending time with his family and friends. 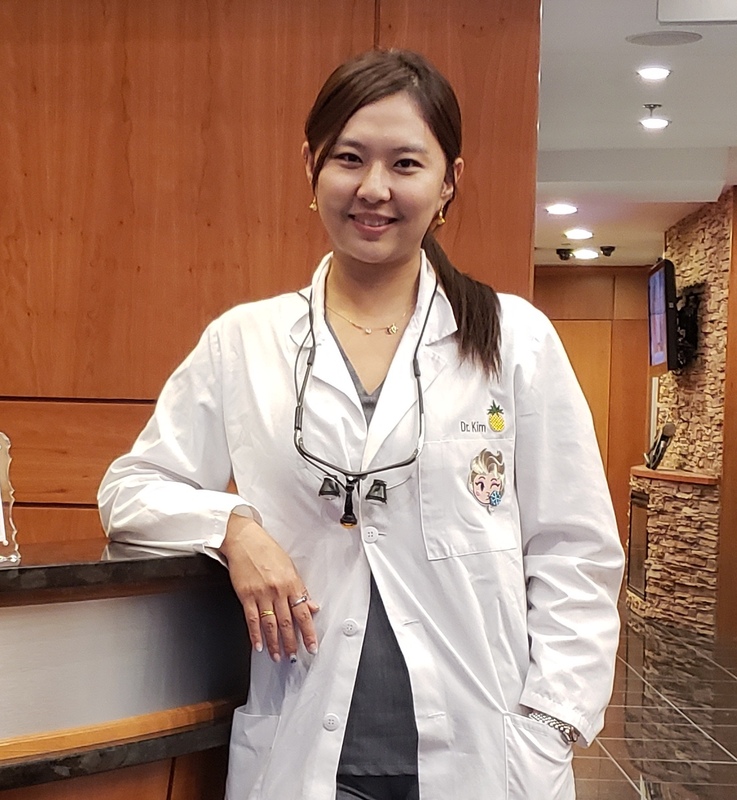 However, Dr. Kim's passion is in dentistry: "There is nothing more satisfying and fulfilling than providing my best dental and personal care to each and every one of my patients." Dr. Sun Kim graduated with a BS degree in Chemistry from George Washington University in 2008. She followed with a Master's degree in Human Genetics in 2010 and Doctorate in Dental Medicine (DDS) in 2016 from Virginia Commonwealth University. Dr. Kim attended numerous post graduate advanced studies from renowned dentists. Her specialty is in crowns, bridges, and veneers, though she is skilled in diverse fields of dentistry. She is also a certified provider of Invisalign. Dr. Kim is an active member of American dental association, Academy of General Dentistry, American Academy of Cosmetic Dentistry, and American Academy of Implant Dentistry. Dr. Kim listens to the patients concerns, takes conservative and gentle approach. When Dr. Kim is not at her office, she enjoys baking, cooking, knitting, jewelry making, and painting.